The week and the month have both ended today. I had a therapy appointment and a treatment with my osteopath. I then met with my student who has been teaching me guitar. 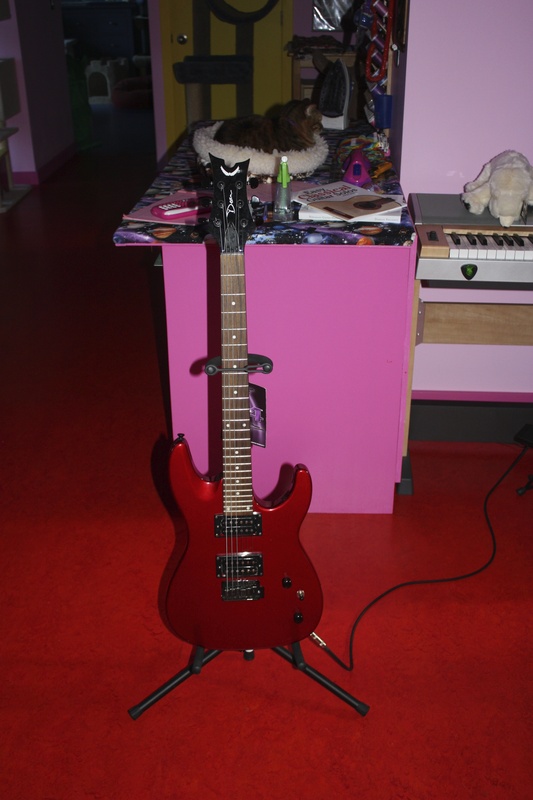 He brought over an electric guitar he had for sale for me to try and I really like it better than my acoustic. It is thinner and heavier, with better balance, and it is also easier to play. I bought the electric, and gave him my acoustic as well. I am looking forward to trying it out over the weekend. Oh, and best of all, it is red! !